Pennsylvania's Department of Corrections is planning to ban free book donations to inmates by mail, claiming that this is a "primary avenue for drugs" to enter prisons. But the move coincides with a renewed push to get prisoners buying into a pricey prison eBook system that offers low-end tablets for $150 and eBooks no cheaper than $3 a read. Presented as evidence by the DOC was a letter from a prisoner it said "describes how to smuggle drugs through a popular book donation program." As the Prisoners Lit Project and others pointed out, though, the letter didn't say anything at all about drugs: "the poor guy just wanted a dictionary!" 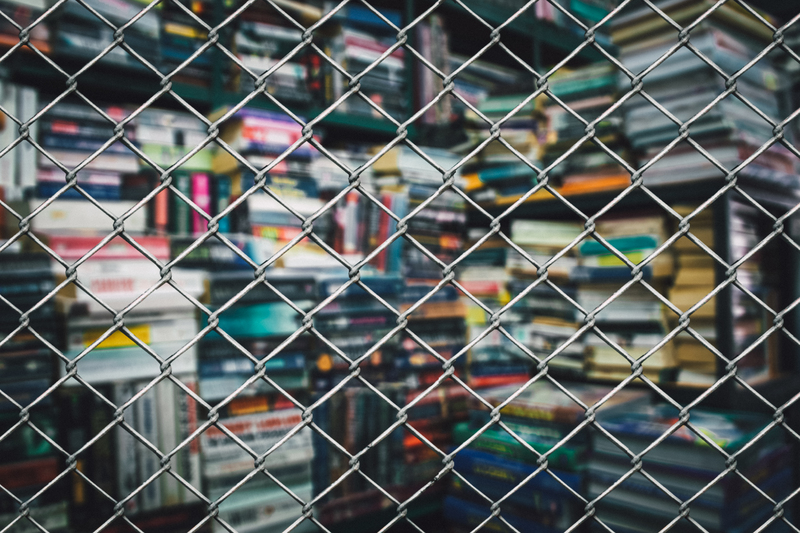 The project describes itself as an all-volunteer grassroots group that sends free books to prisoners in the United States. It sends 30-40 packages a week to prisoners—no drugs included—and plans to fight what it sees as an "unfair and shortsighted change" that will effectively end the program. "Banning books from 'books to prisoners' organizations is inhumane," it wrote. Another similar organization, Book' Em, said it mails hundreds of book packages to prisoners and would push back against the policy. A third, Books to Prisoners, said that Pennsylvania prisons' libraries are underfunded and often inaccessible and challenged the DOC's claims otherwise. The Amistad Law Project described the new policy as "horrible" and "dehumanizing." The Philadephia Inquirer's Samantha Melamed writes that other states are embarking on similar plans, and they're likely to meet stiff court challenges. Critics see the DOC rules as part of the same "war on books" — and they are hoping to achieve the same reversal here. To that end, they've already set up online petitions and planned a day of action for Friday to flood state officials and lawmakers with phone calls. Organizations including the Pennsylvania ACLU and the Pittsburgh-based Abolitionist Law Center that have sued the DOC successfully in the past said they are evaluating the situation. "We're already starting to get a lot of complaints," said the Abolitionist Law Center's Bret Grote. "It was only a few days into this in which it became clear to me that this is almost certainly going to result in years of protracted litigation, and it's going to become a defining moment in the future of prisons in this state."